Special spaces need extra-special care. Flower beds and areas that include shrubs, trees and landscape art need to be kept free of weeds and debris. There should be clear lines of demarcation between the lawn and the bed for the most pleasing appearance. This can be accomplished in a number of ways: machine edging, gravel, pavers, paths or retaining walls. Maintaining a manicured look requires regular attention. Mulching is a great way to conserve the water your plants need to survive. And as mulch naturally breaks down, it releases nutrients that enhance the soil. It reduces weed growth and adds to the aesthetic appeal of your overall landscape design. Its color contrast alone will draw attention to other plantings and hardscape features. There are many different kinds that can be applied. They vary in color, texture and composition. Let us recommend a plan to highlight those special planting areas on your property. Mulching Pricing: Bed Prep, starting at $49.50 + $90-$120 per cubic yard (includes delivery and installation). Weeding & Bed Maintenance Pricing: Starting at $49.50. 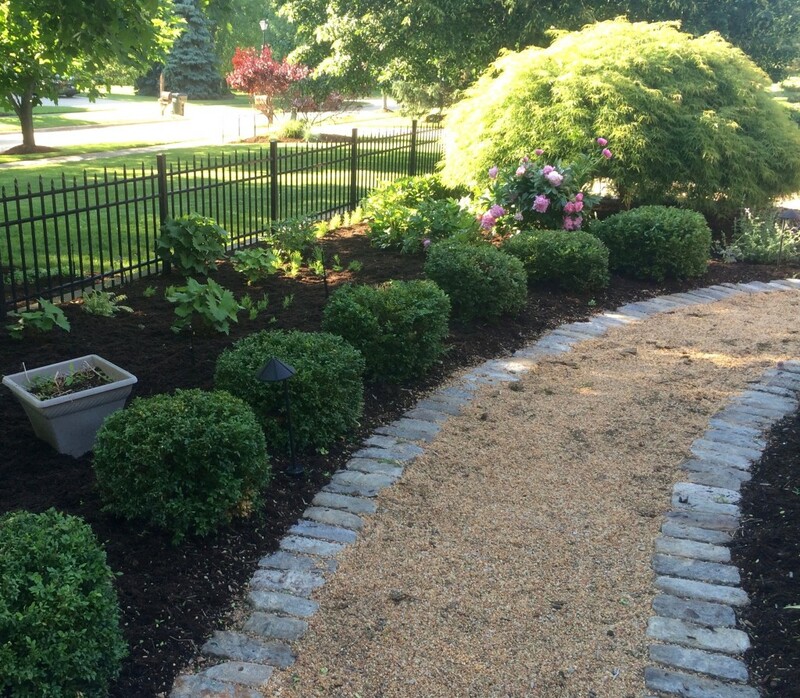 We can design specific weekly, bi-weekly or monthly programs to weed and maintain your beds. Please contact us to receive an accurate quote for your property!